FHP Living have sold almost 1,000 Buy to Let residential investments during their existence and with the benefit of a strong Residential Management Team and Lettings Team working out of our Lace Market offices, we are best placed to provide guidance to both the seller and the buyer of residential investments. FHP Living also work with developers who are often looking for an early sale of a number of apartments to residential investors and in return offer a discount to market value. 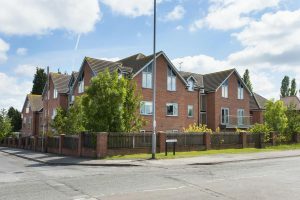 Our instructions have ranged from the sale of individual units and small portfolios, to major developments such as Nottingham One where approximately 50% of the sales of the apartments within this 250 unit scheme have been to Buy to Let investors. So why invest in Nottingham? There are over 48,000 students here studying at two leading Universities, there are two hospitals, and it’s a thriving business community, being the home of leading national companies including Boots, Experian, Capital One and Speedo.